Saab is preparing to showcase key capabilities at the Indo Defence 2018 Expo and Forum to be held in Jakarta, Indonesia this month. Following the introduction of Law 16/2012 for the defence industry, Indonesia is on its way towards self-sufficient defence capabilities and Saab said it is ready to comply with all the obligations of these strict procurement rules. Anders Dahl, vice president, head of Saab Indonesia, said, "Indo Defence 2018 gives Saab the opportunity to show our highly capable solutions for airborne early warning and control as well as the most modern VSHORAD [very short range air defence] system, the RBS 70 NG. Saab has maintained an official presence in Indonesia since 2013 and partners with local defence industries, government agencies and academic institutions including the Agency of Assessment and Application of Technology (BPPT), the Bandung Institute of Technology (ITB), the University of Indonesia (UI) and the Indonesian Defence University (Unhan). "These technologies will not only enhance the capabilities of the Indonesian armed forces, they also come complete with an extensive transfer-of-technology program that will provide great value to the Indonesian defence industry and the nation," Dahl said. RBS 70 NG VSHORAD system: Indonesia has a successful operational history with the first generation of RBS 70 air defence missile and the latest version of this system delivers the most sophisticated air defence technology, through key upgrades and improvements to the optical sight system. Saab 2000 Erieye airborne early warning and control (AEW&C): An ultra-modern, cost-efficient, multi-role solution that will protect Indonesia’s air, sea and land assets. Erieye provides complete surveillance and assurance, stopping threats that can jeopardise the economy and public safety such as illegal fishing, smuggling and terrorism. 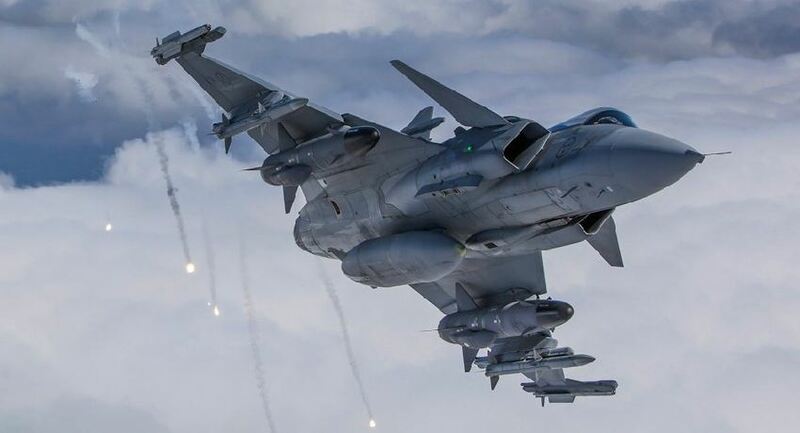 Gripen: Developed to counter and defeat advanced future threats, the E-series is for customers with more pronounced threats or wider territories to secure. The E-series has a new and more powerful engine, improved range performance and the ability to carry greater payloads. It also has a new AESA-radar, InfraRed Search and Track system, highly advanced electronic warfare and communication systems together with superior situational awareness. Indo Defence 2018 Expo and Forum will be held at the Jakarta International Expo from 7 to 10 November 2018.